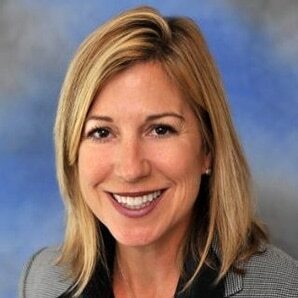 Suzanne Kounkel is a principal at Deloitte Consulting. As the Chief Marketing Officer for US Deloitte Consulting, her work encompasses the full suite of marketing and communications services to support the US Consulting business, including sub-branding and positioning, content marketing, public relations, and internal communications. Before becoming the CMO, she led Deloitte’s US Consulting tech sector industry practice—one of Deloitte’s largest and fastest growing businesses—and the US customer market offering, which includes CMO services. She also initiated and developed Deloitte’s Next Gen CMO Academy and served as the dean for two years. Suzanne has led Deloitte’s relationships with many of its largest clients, helping them to transform the ways in which they attain, interact with, and keep their customers. Having provided customer and channel strategy services to clients in the high-tech industry space, Suzanne has also performed work in merger integration—specifically with integrating companies’ customer experience with sales and marketing functions. She co-led the development of Deloitte’s customer, market, and product M&A integration methodology, and is a frequent speaker and author of M&A customer experience integration, global customer operations transformation programs, and marketing and sales effectiveness. In addition to helping her clients, Suzanne served as Deloitte Consulting LLP’s Women’s Initiative leader from 2006 to 2012. She’s also a frequent speaker on engaging talent and leadership constructs to support gender diversity, including strategies to support career life fit. She was also a significant contributor to “The Corporate Lattice: Achieving High Performance in the Changing World of Work,” a book by Cathleen Benko and Molly Anderson. From 2007 to 2015, she served as the Vice Chair of the Deloitte US Consulting LLP Board.